Yesterday, Apple released a quarterly sales report. iPhone sales were up 142% year over year and according to the report, “91% of Fortune 500 are using or testing the iPhone as a primary device, including major corporations like Nestle, Dow Chemical, Glaxo Smith Kline, and Comcast. In addition, 57% of all Fortune 500 are similarly deploying or testing the iPhone.” Apple continued to sell every single iPad they could build. Automatically detect mobile. Mainstream dynamic, database driven content management systems (CMS) such as WordPress have plugins that can do this for you. If you are still using a static HTML type of site, you can use user agent detection. Use cascading style sheets (CSS) to render the mobile version of your site when a mobile browser is detected. Get rid of Flash and Flash elements. Even though Flash elements will show up on non iPhone types of devices, they are still not mobile friendly. They tend to be resource hogs that can slow things down and eat up memory. Of course, they are not friendly at all for iPhone devices. Apple made the decision to not render Flash because it does eat up resources. Not rendering Flash makes the smart phone battery last longer and makes the use of the smart phone more efficient. Optimize your pictures to make them load fast. You can use photo editing programs to shrink the file size of your photos so they will load faster. If you don’t have a photo editing program that will do this for you, you can use free online programs like imageoptimzer.net. Mobile users tend to have short attention spans. Don’t make them wait for picture loads! This is a good tip for your desktop site as well. Rethink your navigation. If you have header, footer and sidebar links that may not be high priority links for your mobile users, remove them for your mobile version. 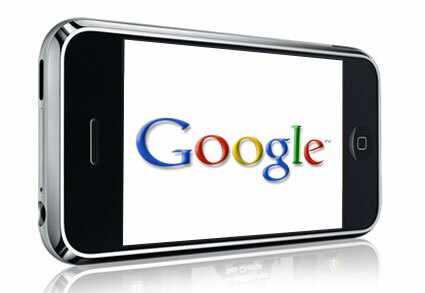 Mobile users often come to your site to look at one page, perhaps to get a phone number or map. Make your navigation simple and lean. Give mobile users a clear way to get to the full site. Occasionally, visitors may be looking for something that is not included on your mobile site, for those users, a path to the full site is helpful. Make sure that your full site is also simple to navigate and loads as quickly as possible as well. Mobile has become a major part of the web instead of a small niche market. Make sure that you address those users. Measure your results to see where your visitors are coming from, what devices they are using and what types of content they are looking for, and adjust. Your full site users and your mobile users may be looking for different types of content. Find out what they are looking for and deliver! Great article. If the site is not iPhone compatible, you are losing! Next post: Will Google+ Replace Facebook?